Interior Minister Jan Jambon compared the Muslim terrorists who were hiding in Brussels with the Jews who hid in World War II. 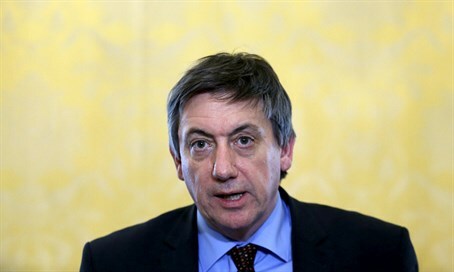 Belgians Interior Minister Jan Jambon made a controversial statement during his appearance on Belgian’s VTM News. When Antwerp City Council member Claude Marinower learned of Jambon's statement, the former MP said, “At first when they told me about it I didn’t believe it was possible. I asked to watch the video – and realized that Jambon really did make this dubious comparison. "It’s inconceivable, it’s shocking for all those who hid Jews during the occupation while endangering their lives. How can you compare the jihadist criminals who are hiding today with the innocent Jews who wanted to flee from the Nazi manhunt?," said Marinower to Jewish news website Regards. Jambon later clarified that his comments pertained to the mechanism of hiding. “I just referred to a historical fact in Belgian history. Hiding those people was something positive. What is happening today in Brussels, it is not," he said according to VTM News.